5 star review from Randell C.
5 star review from Anna E.
Broke down on the road. Called this shop, spoke with Bob. Saved time and money for me. Very helpful. Welcome to LeDoux’s Auto Service THE TRUSTED MECHANIC in Salem, OR, the local choice for automotive repairs and services in the area for over three generations. Our current location, open since 2013, is a full-service shop that works on most makes and models of vehicles and can perform any repair or service that your vehicle may need. We specialize in domestic, Asian, and European cars and are the experts when it comes to preventative maintenance and vehicle inspections. 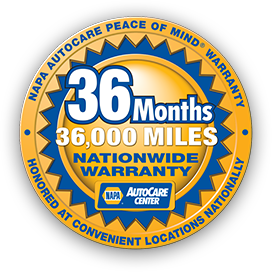 At our family owned and operated shop, we offer an outstanding 3-year/36,000-mile warranty that is recognized at thousands of NAPA AutoCare centers across the country. We staff highly trained technicians that provide honest service and quality repairs. We also offer a free shuttle service for local customers and also have loaner vehicles available for major repairs. Our shop has the latest, state-of-the-art equipment, including computer diagnostic tools for most vehicles. At LeDoux’s Auto Service THE TRUSTED MECHANICS, we are the trusted mechanics in Salem. 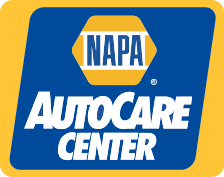 We are your friendly auto shop offering same day service and comprehensive preventative maintenance. Whether your vehicle needs a major repair or is due for a scheduled service, our experts are here to help. If you have a question about your vehicle, don’t hesitate to give our friendly staff a call. We look forward to meeting you! Thank you for visiting Ledoux's Auto Service!